Rick Graham, Mayor of Spring Hill, says alleviating traffic congestion is a top priority. “When I got elected, the people said, ‘Get us a Chick-Fil-A and fix the roads,’” says Spring Hill mayor Rick Graham with a laugh. The mayor has delivered on recruiting Chick-Fil-A; addressing traffic congestion in Spring Hill is a work in progress, hardly a surprise considering that the city has grown exponentially—from a population of 1,100 in 1985 to almost 40,000 today. “As people moved in, they all moved to the Williamson County side of Spring Hill. We have 70 percent of our people living in 30 percent of our space,” notes Graham, which helps explain why traffic is so congested on the city’s north side. 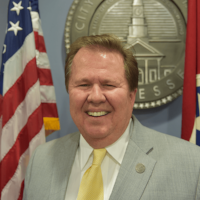 According to Graham, “there is no silver bullet to fix Spring Hill’s transportation problems,” which is why there are a diverse array of solutions being implemented, including road widening projects and—if all goes as planned—a new exit interchange on I-65 that will provide a “huge release” when it comes to traffic congestion. During a shared ride with Carissa Biele, Graham credited all of the mayors in the region for looking at new, creative ways to address traffic issues area-wide. “We’re all in the same boat. We’re all looking for ways as a region because we hate to tell people this but it’s only going to get worse. We can’t widen enough lanes … even if we widen I-65 to eight lanes it won’t alleviate all the traffic problems,” he says. Never mind the fact that new road projects are extraordinarily expensive. By itself, Spring Hill has $200 million in road projects in the works, “and people can only absorb so much in property tax increases,” reminds Graham. In search of worthwhile alternative ideas, Graham recently traveled to Colorado—along with other Nashville area mayors and a representative mix of local government officials and business executives—to study the transportation solutions that have been implemented in the Denver metropolitan area. Why Denver? Its suburbs are not unlike those of Williamson County, and the city is decades ahead of Nashville in terms of investing in transportation infrastructure. Knowing that some people will never give up their cars, he’d also like to see more carpooling and ride sharing. At the moment, just 7.9 percent of people in Spring Hill carpool to work. Graham is optimistic that a new, free smartphone app called Hytch Rewards—which validates, tracks, and rewards ride sharing behavior—will increase that percentage dramatically, thereby reducing traffic and parking congestion, improving air quality, and making rides to work a more social, enjoyable experience.  With Hytch, drivers and passengers alike earn cash rewards for every shared mile, with bonuses paid by sponsors in select counties and communities. For example, automotive giant and Williamson County citizen Nissan—recognizing innovation that excites, to borrow their tagline—is sponsoring the state of Tennessee, paying commuters five cents per mile for using the app to track shared rides in any of the Power of 10 Counties of Middle Tennessee. To learn more, see answers to FAQs about Hytch. Then sign up and download the app today!